Suspended custodian Charles Lukwago is the only absentee as Kampala Capital City Authority FC take on Botswana’s Township Rollers in a Caf Champions League fixture Saturday afternoon. Lukwago received his marching orders as KCCA fell 0-1 to Tunisian giants Esperance on MatchDay four. He is to be replaced by Tom Ikara who featured in the club’s last build up game against Aziz Darmani Dove All Stars on Thursday. KCCA coach Mike Hillary Mutebi told a packed pre-match briefing yesterday that he is fully confident in Ikara’s abilities as the young keeper has grown in stature since starting the reverse fixture in Gaborone. Mutebi also confirmed that Gift Ali and Jackson Nunda who missed the Esperance tie are available for selection. 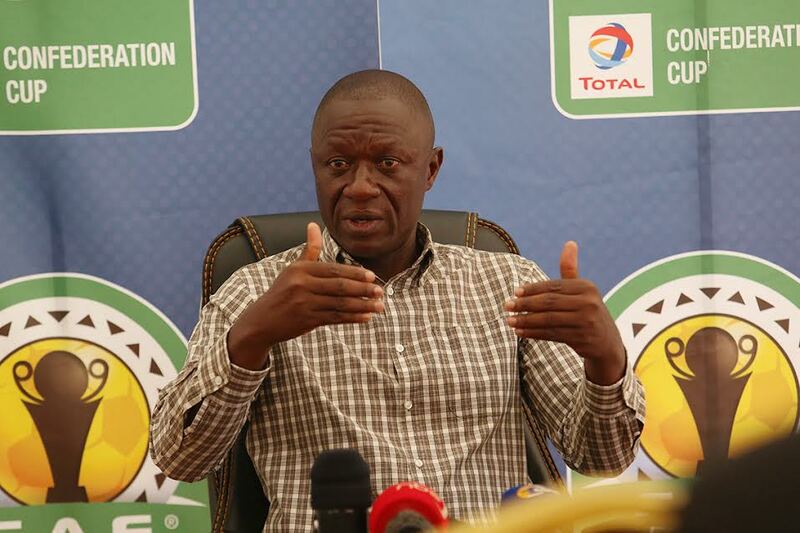 “We are going to play to win as we still have the mathematical chance of qualifying, said Mutebi at the press-briefing. “If Al Ahly draw or lose at Esperance tonight, they go onto 7 or 8 points. If we win, we progress to six points, which means we would go into our final game in Egypt with something to play for. The former Maroons, SC Villa and Cranes tactician said mistakes which cost the side in defeats to the Tunisians have been corrected in training. “We expect to beat Township Rollers if players follow instructions, continued the Kasasiro Boys’ head coach. “The players football intelligence has improved. We didn’t get into the group stages to be passengers. We aren’t tourists, he added. In addition, Mutebi vowed to play in the KCCA way. “We are going to play on the front foot, attacking football with purpose. “Our identity is what has brought us this far…We shall not ask our players to kick opponents as if it’s rugby. “Our players are technicians who use the ball well, Mutebi emphasised. Team captain Timothy Awany said the team from Lugogo has a full house with all players fit and raring to go. “We are going to concentrate for ninety minutes to get the three points, said Awanyi. “We need this victory to boost our confidence ahead of the clash with Al Ahly. Township Rollers assistant coach Thabo Motang, who is filling in for absent head coach Nikola Kovazovic, told the press gathering they are counting on former KCCA midfielder Ivan Ntege to use his inside knowledge of the Ugandan club to help them plot their downfall. KCCA lost 1-0 in the first game against Township Rollers. The team from Kampala is currently bottom of Group A of the Caf Champions League after registering one win in four outings. Twice African club champions Esperance lead the way with 10 points, three more than the continent’s team of the century, Egypt’s Al Ahly.